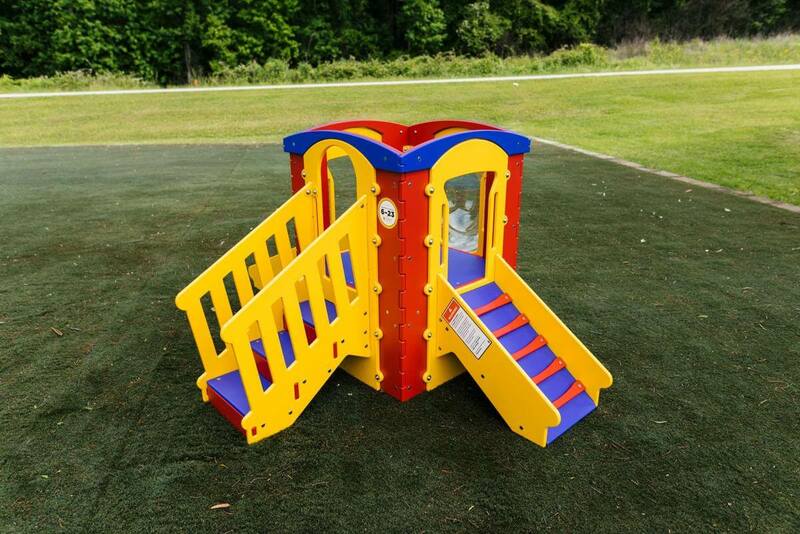 Our Modular Tot-Trek series is a tot-lot playground structure available in endless configurations. 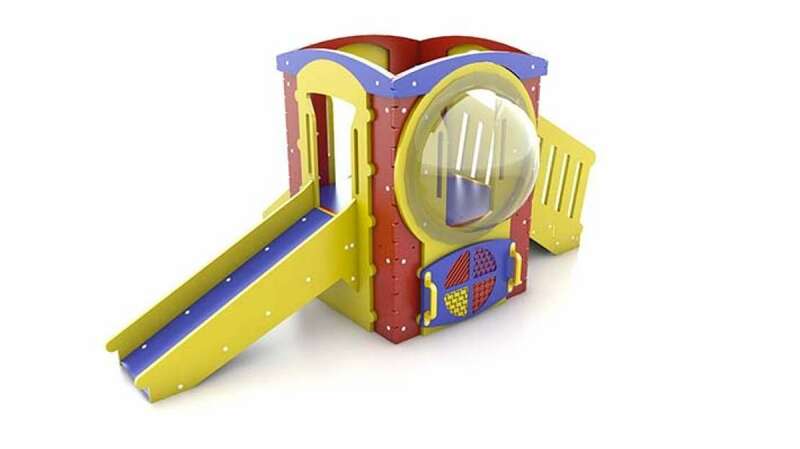 Start with a base unit and add on different play components based on your area’s size and your budget. 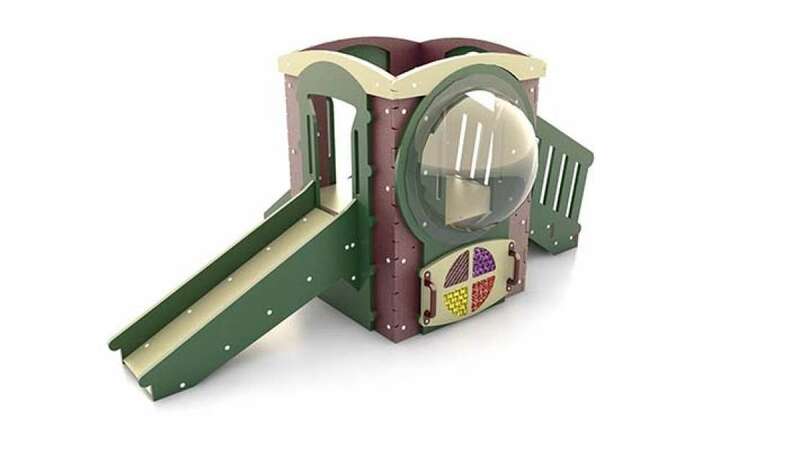 Tot Trek One can accommodate up to five children and features a slide, stairs, bubble window, texture panel, and climber. 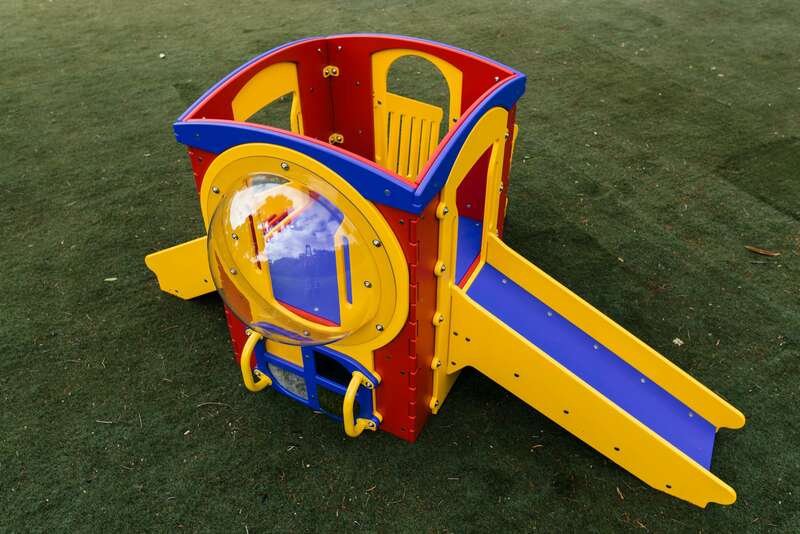 The Tot-Trek series is available in a primary or natural color scheme.